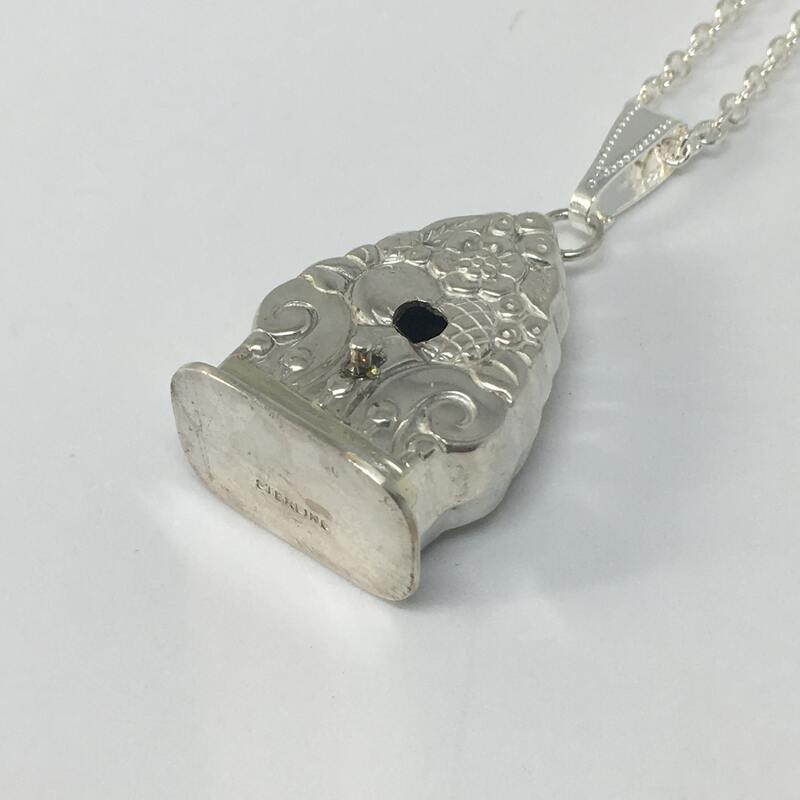 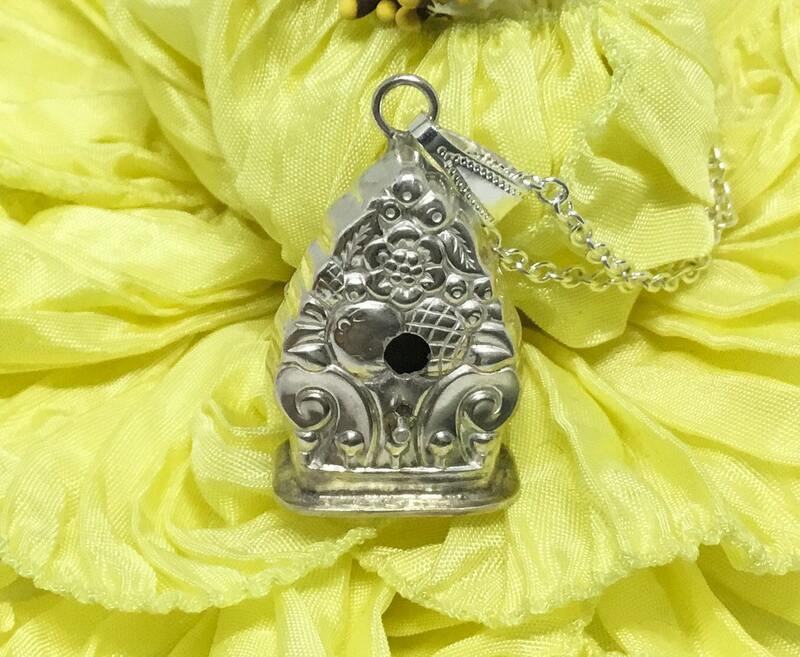 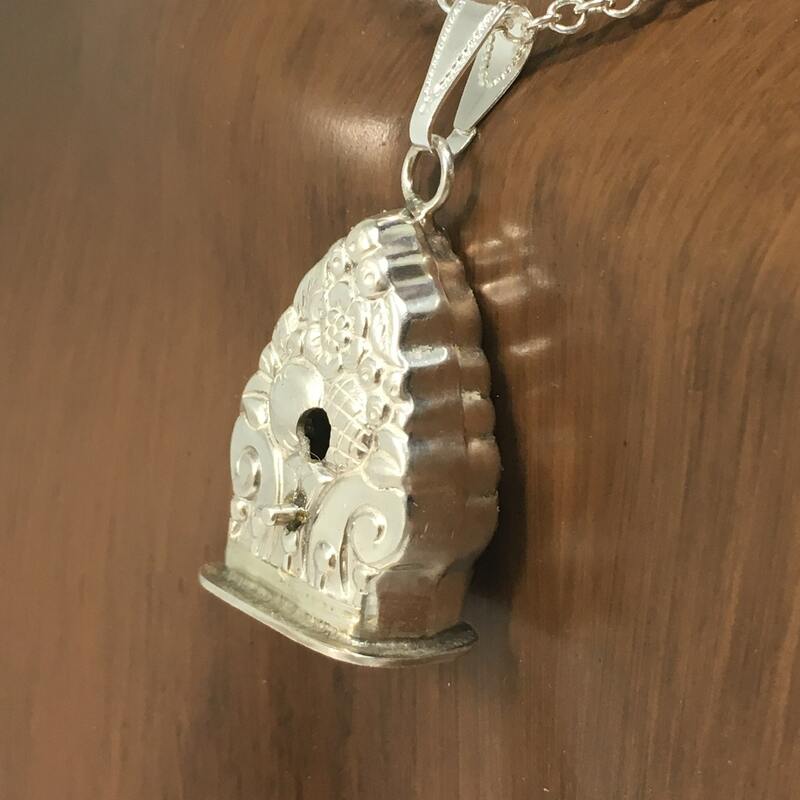 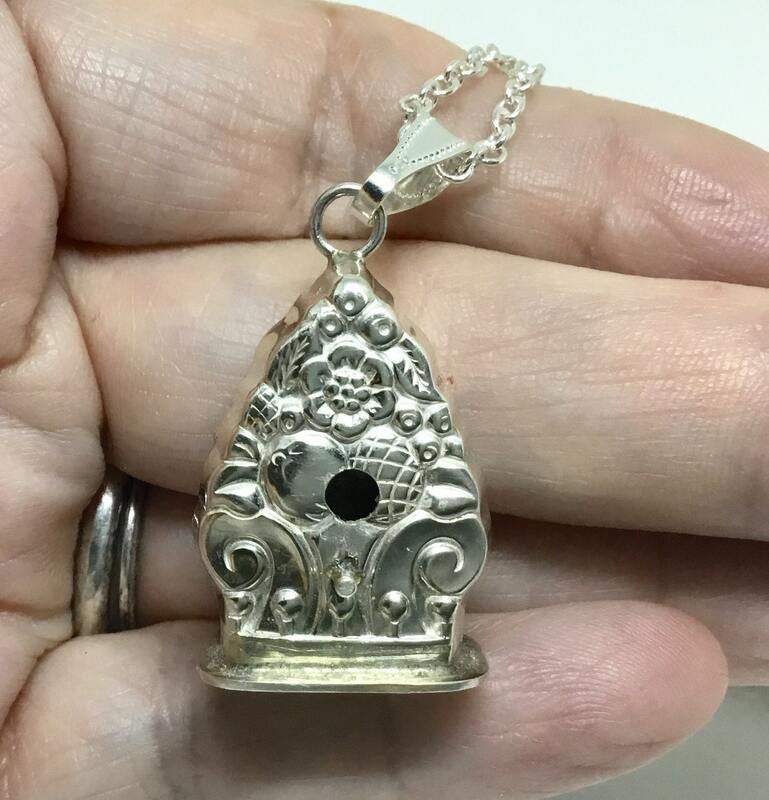 This birdhouse pendant is handcrafted in our studio by my husband Steve from a butter knife handle. 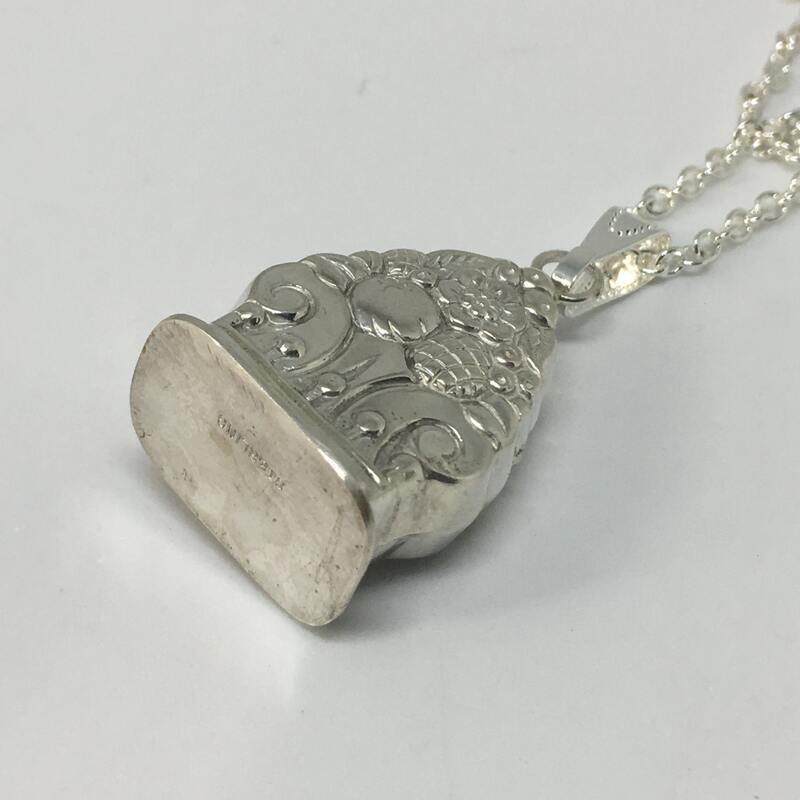 This is .925 Sterling Silver construction. 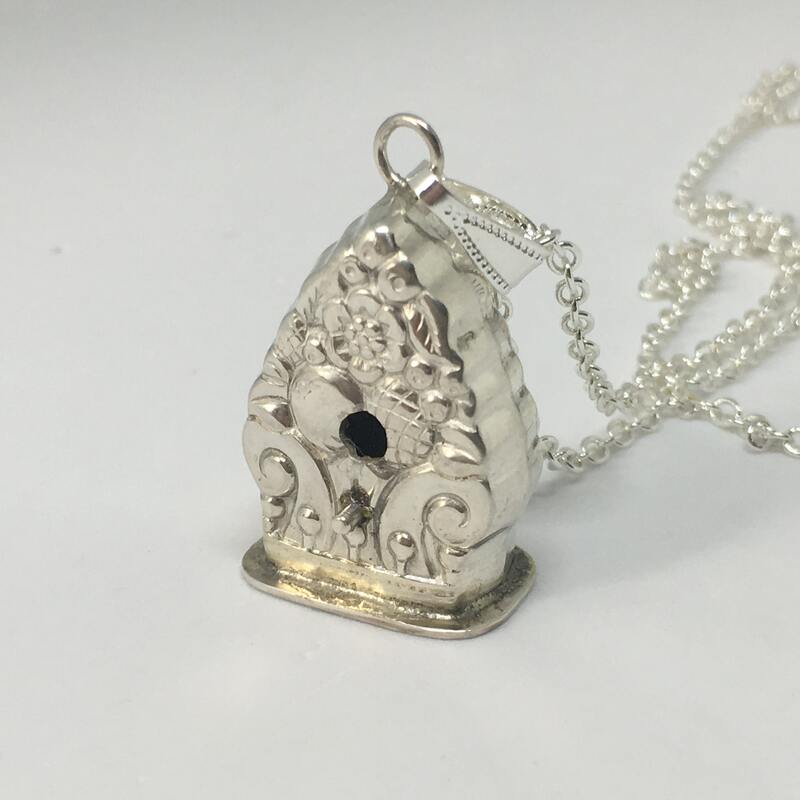 The pendant measures approximately 1" tall by 3/4'"wide by 3/8" deep. 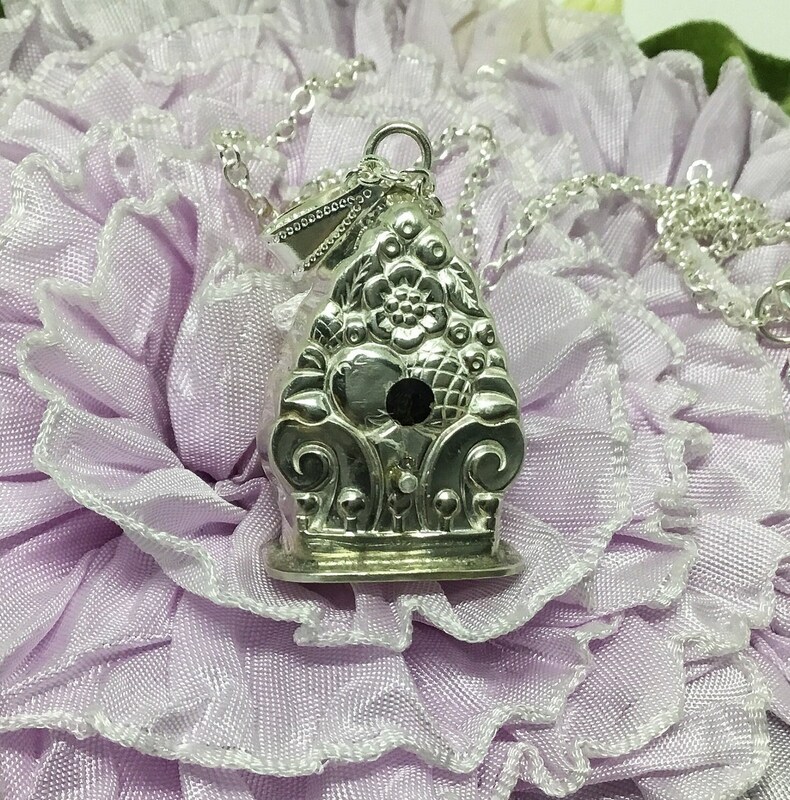 The perfect gift for yourself or someone who likes whimsical pendants. 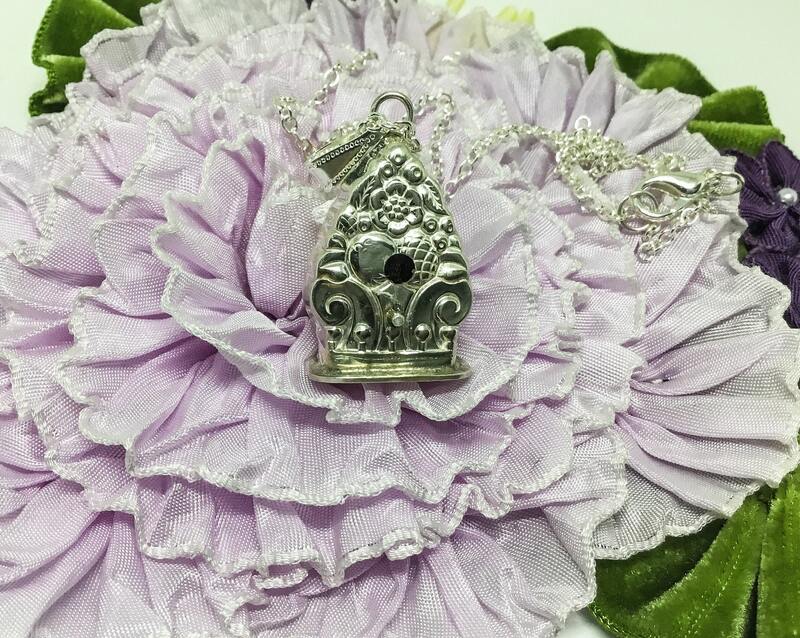 The floral embossed design is amazing. 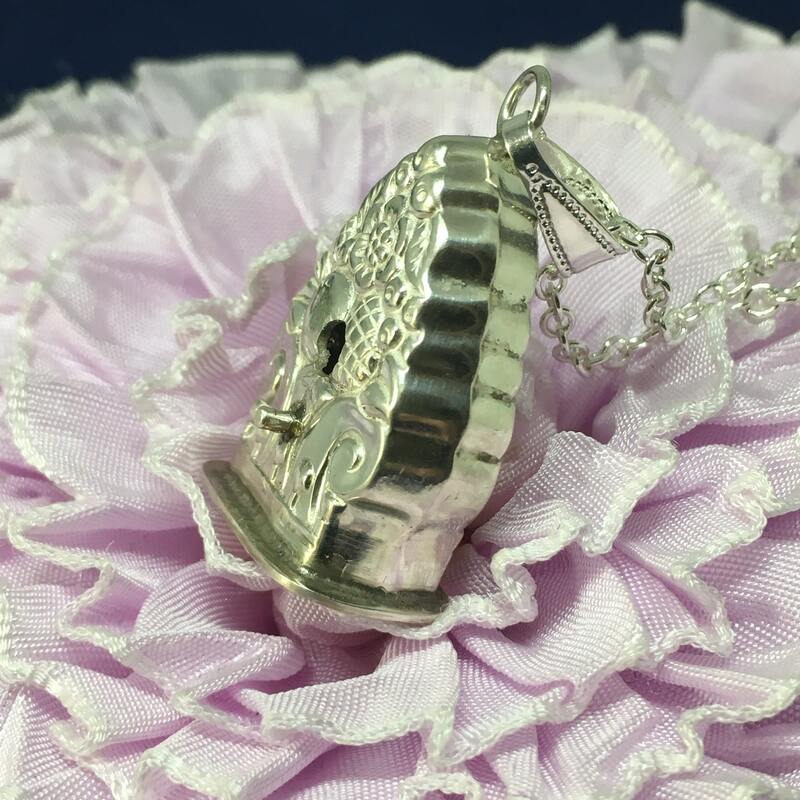 Includes a 20" fine silver plated chain.